Easy Digital Photo Recovery lets anyone perform photo recovery with great ease, speed and simplicity. Deleted, formatted pictures from hard drive, flash disk or memory card can be recovered with its help. Algorithms that are strictly oriented towards specific tasks, make it possible to restore maximum photographs in as little time as possible. This way, if the program can’t help, most likely, even a data recovery specialist won’t help either. 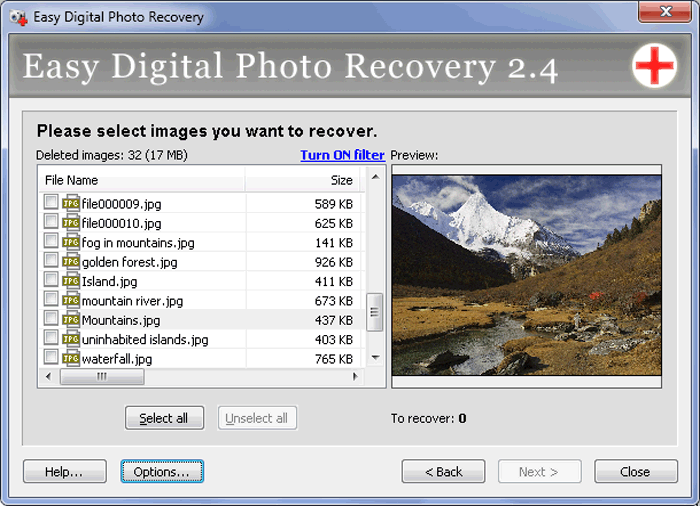 Easy Digital Photo Recovery recovers any graphic image format, from JPEG and RAW to rarer types, such as ARW, ORF and DCR. Besides, the program allows previewing recoverable photos and marking the ones that need to be recovered. It saves a lot of time and disk space as sometimes file names are not known and a user is forced to recover all files. In order to optimize the process, the found data can be filtered by name, recovery status, creation date and size. 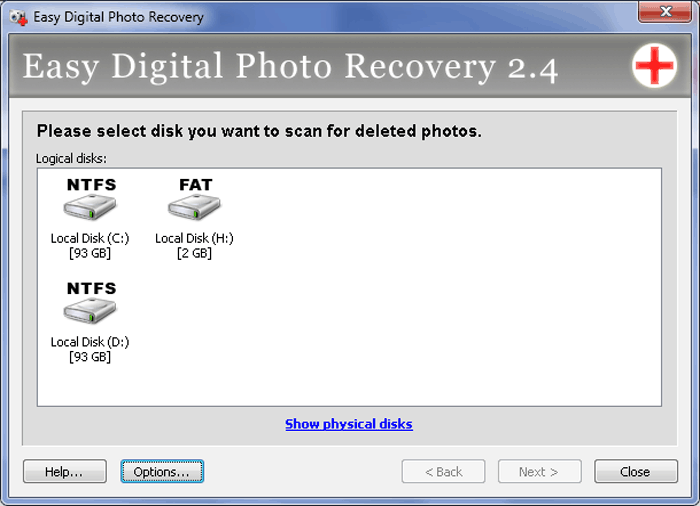 More about the program itself and photo recovery can be learned from the screenshots and the introductory videos below. 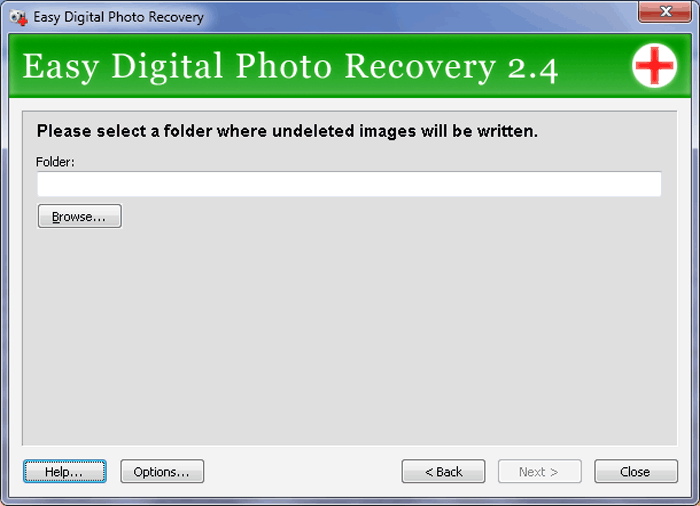 Easy Digital Photo Recovery can be safely called one of the best photo recovery solutions on the market. It can be used in any Windows operating system: Windows 2000, XP, Server 2003, Vista, Server 2008, 7 and 8, as well as on any manufacturer’s hard drives and with most popular file systems: FAT16, FAT32 и NTFS. It’s recommended to use the trial version of the program before the purchase and not only to preview the list of recoverable files but to recover one photo as a test too. It’s important to know that if the chosen file is not found or is not displayed correctly in the preview, then nothing will change after the purchase, it means such file cannot be recovered at all, most likely it’s been overwritten. I have never imagined that there exists such a software product that can save you from a total failure like losing all your pictures from your photo camera. 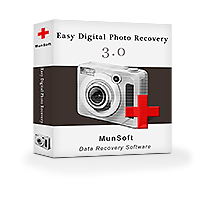 Easy Digital Photo Recovery from MunSoft is a life saver; it has recovered all my pictures that I had lost due to an unexplained flash card error in less than 5 clicks! Thanks a lot to MunSoft team! This software is wonderful & very good. I am a photographer I lost my video and photo data from my memory card. I get my all data. Thanks to MunSoft. Great Experience.